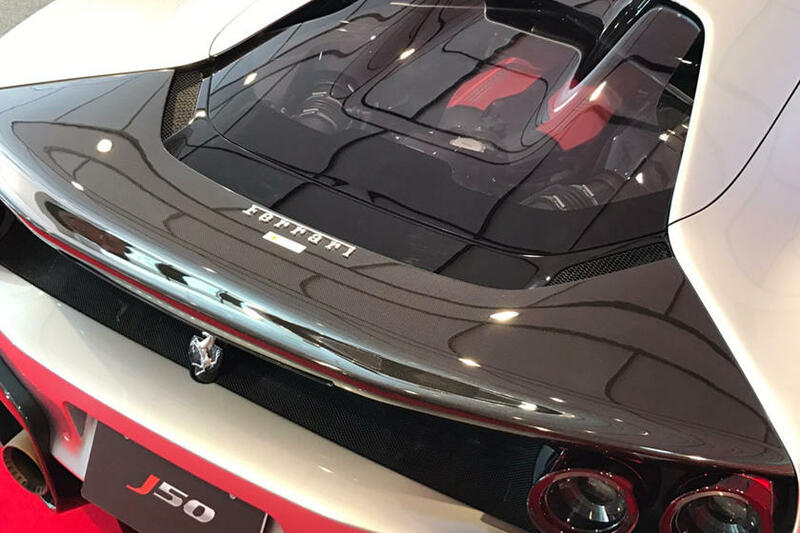 Does anybody here know what a Ferrari J50 is? No? I don’t either. 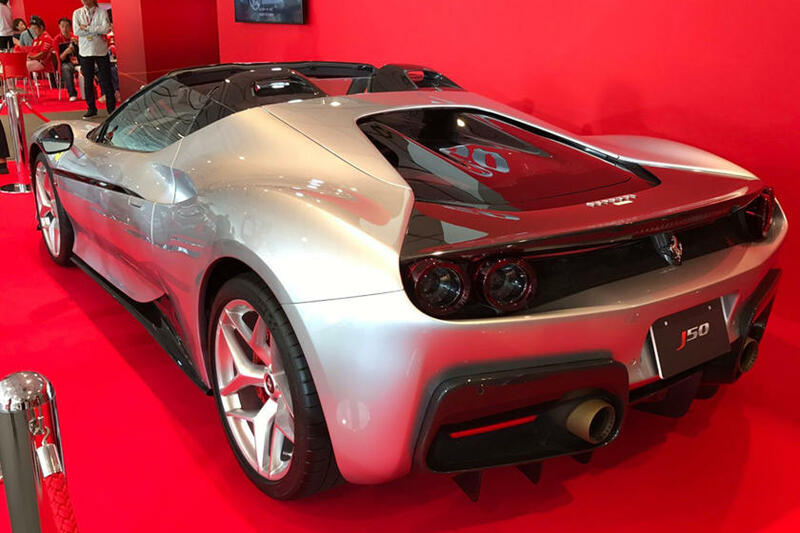 If you must know Ferrari started taking orders for the J50 in 2016. That is a full two years before first of the cars were delivered in Japan. So who knows when the other eight cars will be delivered. 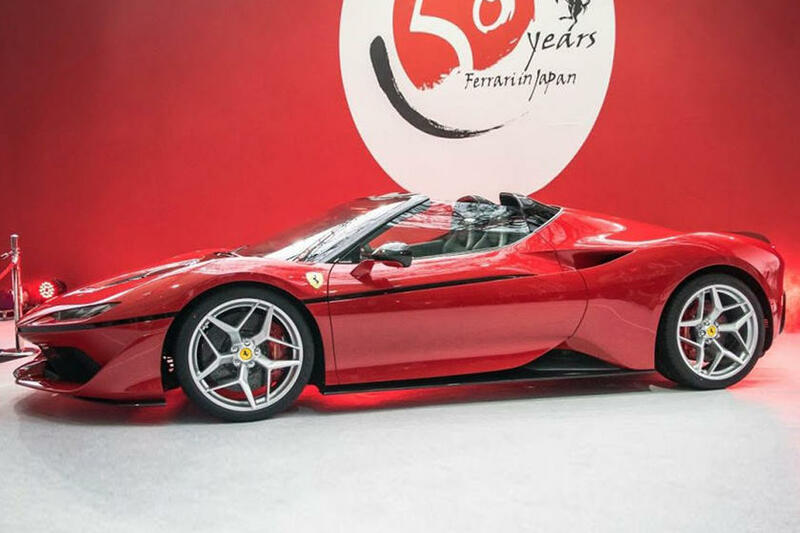 It was built to commemorate Ferrari’s 50 years in Japan. It was unveiled at the Naional Art Center in Tokyo. The car is stting on the bones of the 488 GTB and Spider. 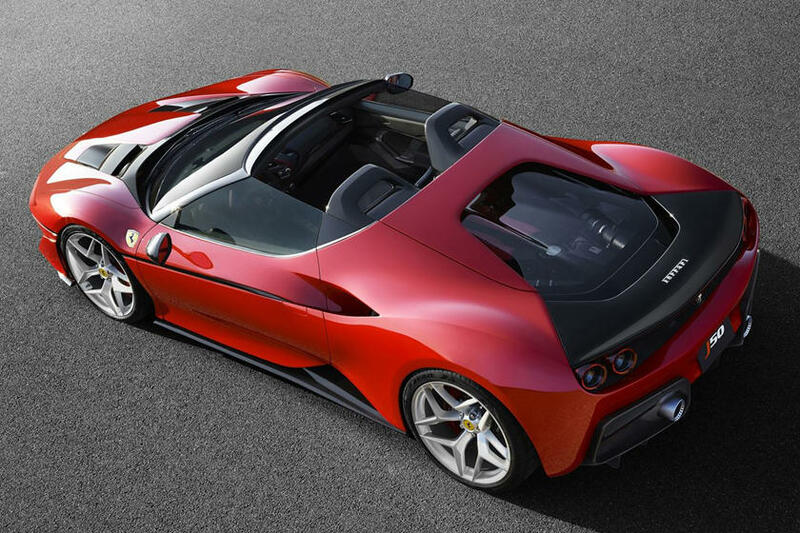 It also shares the same 3.9-liter twin-turbo V-8 that churns out 690-hp. The styling was done in-house. It is said that the inspiration came from Ferrari’s cars from the 70’s and 80’s. Well, I could definitely see hints of the Testarossa and the 308 GTS. But the front looks like a demented Lamborghini Huracan and he rear looks like a McLaren P1 after smoking pot. But strangely, the design works, it is cohesive, though not really pretty.